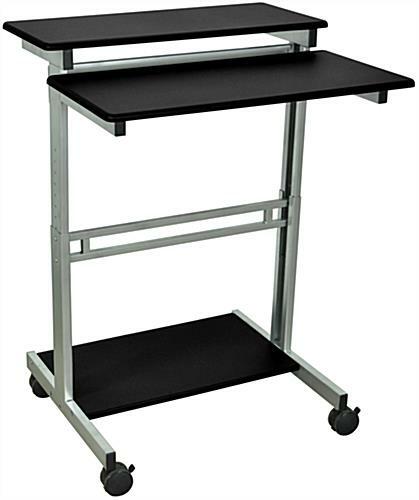 This rolling adjustable height computer table is versatile office furniture that is lightweight and portable. 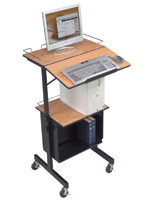 Each fixture is 31.5" wide and can be adjusted to heights between 34" and 46" for use as a standard sitting or ergonomic standing desk. 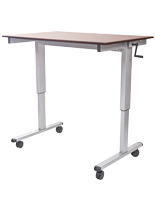 The adjustable height computer table's versatile design includes two work surfaces and a base storage shelf that are all made from durable wood laminate. 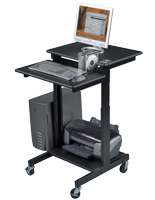 The sturdy steel frame features caster wheels, two with locking mechanisms, to provide stability in any environment. 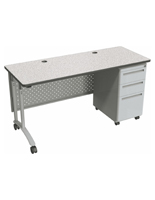 Each easy to move computer table makes a great workstation or portable desk that will complement any environment. 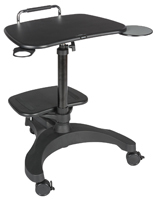 The ergonomic sit stand design is ideal for use at events or for everyday in-office use.